It’s a very simple statement, and one that of course can be agreed upon by many. Film-music is “applied art” first and foremost, a discipline that always must serve a greater purpose. At its most successful and well-executed, film-music fulfills all the needs of storytelling, while also functioning as an emotional trigger for the audience. However, looking a tad deeper at Williams’ words, we might find one of his crucial attitudes towards his own art and, by consequence, we can also ponder on how much film music is part of the contemporary audience’s musical experience. What was seen in the past by many music scholars and critics as a mere Pavlovian technique of musical expression, nowadays is an artform more generally accepted and better understood, treated with its own dignity and considered an important part of the overall sonic tapestry in which our daily lives are enveloped. 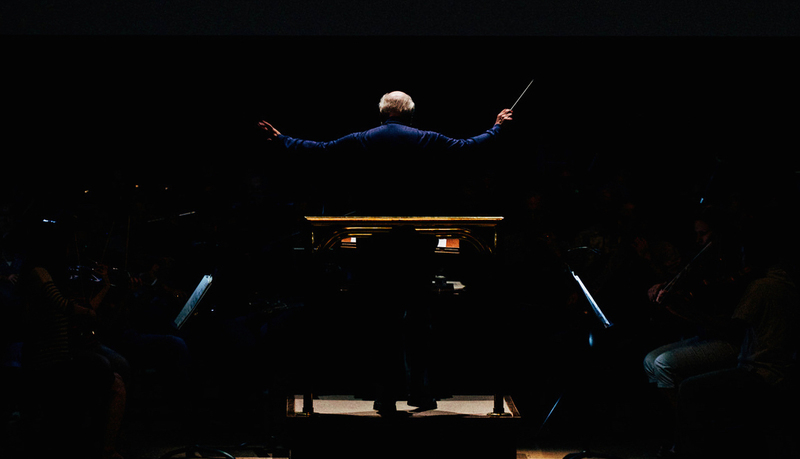 The best film-music gives the audience a chance to experience something akin to what the attendees of opera theatre and concert halls were much likely living in the 18th and 19th century. This whole preamble is a necessary framework to use when looking at John Williams’ score for Star Wars: The Last Jedi, the latest entry in one of the most popular film series of all time. For the home video release, the film’s director Rian Johnson wanted to give fans a special musical treat and pushed to release a special version of The Last Jedi accompanied only by music, with dialogue and sound-effect tracks completely muted1. Given the primary role music always had in Star Wars movies, this special feature is incredibly useful (and also entertaining) for anyone interested in studying the functions and applications of the music score in a film. 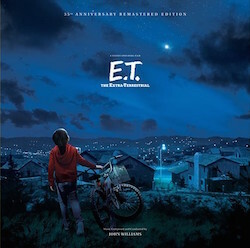 The viewer/listener is given a closer look to the actual film score and, in this case, can appreciate the sheer scale and power of Williams’ work beyond the usual presentation as heard on the soundtrack album. It also sheds a brighter light on the richly thematic writing, the details of the orchestration and the overall dramaturgy of the score. It’s an experience that morphs the film-viewing practice into something closer to opera, or musical theatre, mostly because we see how the composer responds to what is on screen and how he translates it into music language. 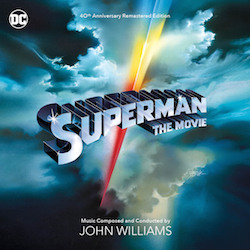 The characters and the settings of the film are brought to life by the music, and even storytelling becomes a sort of tone poem carried exclusively by Williams’ themes and orchestrations. Any composer writing for film looks at the music that he/she is writing as a part of a bigger canvas, where all the acoustic elements need to balance with each other, so the music is never meant to be heard all by itself from top to bottom. But music, more often than not, is the crucial element of the filmic discourse that breathes life into what we’re seeing and experiencing. Watching and listening The Last Jedi in its score-only version is revelatory to understand the care and detail that goes into the whole process of creating a film score. It also shows Williams’ unerring dramatic sensibility toward a story and a set of characters to which he surely feels a lot of affection, but perhaps also a sense of entitlement and co-authorship. Williams does all this using the tools, the experience and the knowledge accumulated over sixty years of writing music for films. He applies the aesthetic methods of classical Hollywood film music, a style he inherited almost single-handedly after the worldwide success of the score for the very first Star Wars film in 1977. Before diving into the musical specifics of The Last Jedi, it’s necessary to give a broader look at Williams’ Star Wars writing. 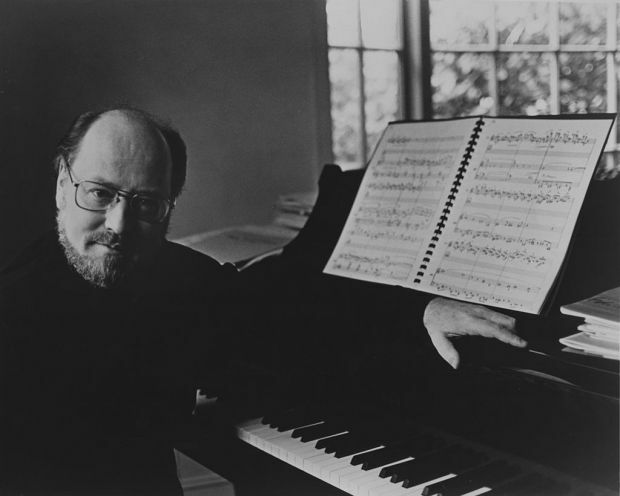 When he wrote the score for the first film, the composer was 45, already winner of two Academy Awards and hot off the success of Steven Spielberg’s Jaws (1975). For his own futuristic film, writer/director George Lucas defied usual conventions and envisioned a musical accompaniment that would harken back to the traditional sound of old Hollywood films from the 1930s and ’40s, to reinforce the mythical and almost fairy tale-like nature of the story. More than science-fiction, “Star Wars is in fact more a ‘super-genre’ […] a mixture of elements from Western, fantasy, and swashbuckler films […] closer to the Warner Bros. adventure films directed by Michale Curtiz, featuring Errol Flynn’s prowess and Erich Wolfgang Korngold’s opulent scores”2. Williams answered Lucas’ call with a full-bodied orchestral score that brought back the sweeping “Hollywood Sound”, a style stemmed from the rich symphonic tradition of European late 19th/early 20th century art music brought to the forefront by the first generation of film composers such as Max Steiner, Erich Wolfgang Korngold, Alfred Newman, Franz Waxman, Miklós Rózsa, Dimitri Tiomkin and Bernard Herrmann. In 1977, this peculiar style of musical accompaniment was already seen as a relic of the past, and it surely was out of fashion after more than a decade of successful film soundtracks dominated by the strains of pop and rock music. 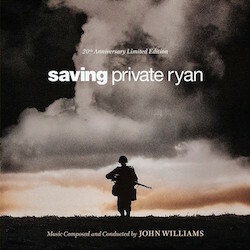 Williams provided a work that revived the stylings and aesthetics that were dominant in the film-music of the so-called “golden age” of Hollywood, “a symphonic tonal score based on a dozen leitmotivs covering almost the entire film […] They all feature extensive and refined Korngold-like dialogue underscoring […] old-fashioned heroic fanfares […] and episodes of detailed Mickey-Mousing”3. The music reinforced the familiarity of the story’s themes and situations, looking back at Hollywood’s glory days with nostalgia and sheer fun, introducing what film-music historian Emilio Audissino, in his book John Williams’s Film Music, labeled “Williams’ neoclassical style”. The incredible success of the film and its Academy Award-winning score revealed that both Williams and Lucas touched upon something deeper than simply being retrò, or having fun with nostalgia. By plan or by accident, both the film and the music seemed to fulfill the need of mythical tales from audiences around the world. The composer himself feels that this wasn’t something preordained at all:“I wish I could explain that. But maybe the combination of the audio and the visual hitting people in the way that it does must speak to some collective memory […] that we don’t quite understand. Some memory of Buck Rogers or King Arthur or something earlier in the cultural salts of our brains, memories of lives lived in the past, I don’t know. But it has that kind of resonance—it resonates within us in some past hero’s life that we’ve all lived. Now we’re into a kind of Hindu idea, but I think somehow that’s what happens musically. That’s what in performance one tries to get with orchestras, and we talk about that at orchestral rehearsals: that it isn’t only the notes, it’s this reaching back into the past”4. What words hardly can express, Williams surely was able to translate it into music with unprecedented clarity. The much-loved “Force Theme” is a prime example of Williams giving shape to something completely absent onscreen to the point that it becomes an element as tangible as characters and locations. Or think about the main theme (a.k.a. Luke’s theme), which opens with the interval of the perfect fifth (from C to G), a gesture used throughout music history to depict heroism and idealism. The composer was able to summon both the classical models common to the Golden Age composers and the great Hollywood film-music of the past to produce something familiar yet fresh and new. As the film series continued with new installments (The Empire Strikes Back in 1980 and Return of the Jedi in 1983), Lucas went deeper into the mythological core of the story. 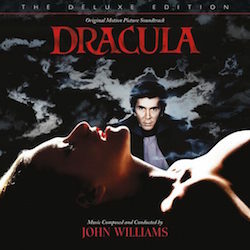 Williams carried on accordingly with his musical compositions, accompanying the two sequels with themes and motifs already established in the first chapter, but also adding new material for characters, situations and set-pieces, expanding further on their development and cross-pollination with each other. The films gave him the chance to create something closer to the operatic tradition than the typical film score, with a symphonic development akin to the works of classical repertoire, reaching peaks of Wagner-like transfiguration (for example, the cue accompanying Darth Vader’s death in Jedi) and ingenious writing (such as the theme for siblings Luke and Leia, which is constructed from the melody of Luke’s theme and the harmonic progression of Leia’s theme, as noted by the music theorist Frank Lehman). These are just two examples among many others that are as refined and memorable. Williams gave the films the required propulsion and energy through the usual tools of the film composer (mickey-mousing abounds, and there is even simple musical illustration when required), but always keeping his ideas musically adventurous, using quick harmonic changes, rich orchestrations and a sense of architecture . As The New Yorker‘s music critic Alex Ross noted “what makes these ideas indelible is the way they’re fleshed out, in harmony, rhythm, and orchestration”. 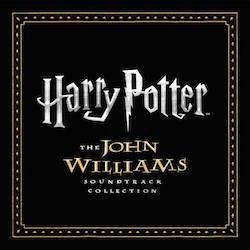 The set of the original trilogy scores became a benchmark for film-music and a pivotal moment in John Williams’ career. The saga made a comeback between 1999 and 2005 with three new “prequel” films, The Phantom Menace, Attack of the Clones and Revenge of the Sith. George Lucas pushed the technological envelope to new heights, focusing on a story much less keen to fun adventure romp and more attuned to the turmoiled political and mythological elements that, in the previous films, were used just as narrative background. The glue that tied these new films to the old ones was essentially the music of John Williams. In fact, the composer returned to the film series virtually picking up the pencil from where he left it in 1983, aware of the quite singular occasion of further expanding his own musical glossary. New themes, motifs and set-pieces were created, while several others from the previous three films made a reappearance and went through new permutations. The composer explored the DNA of his own musical creations and pushed them to a further level, taking elements written twenty years earlier and intermingling them with completely new material—the theme for Anakin Skywalker, for example, is one of Williams’ most Wagnerian pieces, not much in terms of language or style, but in the way the composer deconstructs one of the signature themes of the series (the Imperial March, a.k.a. Darth Vader’s Theme) into an innocent melody for strings in which the fate of the protagonist looms dark in the background. Despite a more uncertain and sometimes clumsy filmmaking, Williams added flair and substance to the visual spectacle and possibly went even higher in terms of thematic complexity and interlocked ideas. Stylistically, the model is again the classical Hollywood film score, but the composer seems more focused on the relationships between the main characters, underlining the forces of destiny at work: the choral set-piece “Duel of the Fates” in The Phantom Menace, the tragic, Shakespearian love theme for Anakin and Padmé in Attack of the Clones, the “Order 66” sequence and the final duel music in Revenge of the Sith are all prime examples of the operatic approach explored in the prequels. In this sense, the score for Episode III is particularly stirring, accompanying Anakin’s fall from grace with powerful writing that, during some key moments, echoes Č’ajkovskij’s tragic-tinged Manfred Symphony, or becoming even Mahler-ian when we witness Anakin’s physical destruction. In the final moments of the film, Williams caps off the saga reprising some of the most beloved themes written almost thirty years before (Leia, Luke, and the Force), closing the curtain with a sense of fulfillment. The composer proved again that it’s possibile for film-music to go beyond its nature of pure gebrauschmusik. After Lucas sold his company to Walt Disney in 2012, a new series of sequel films and stand-alone spinoffs were immediately put in production by the new owners. 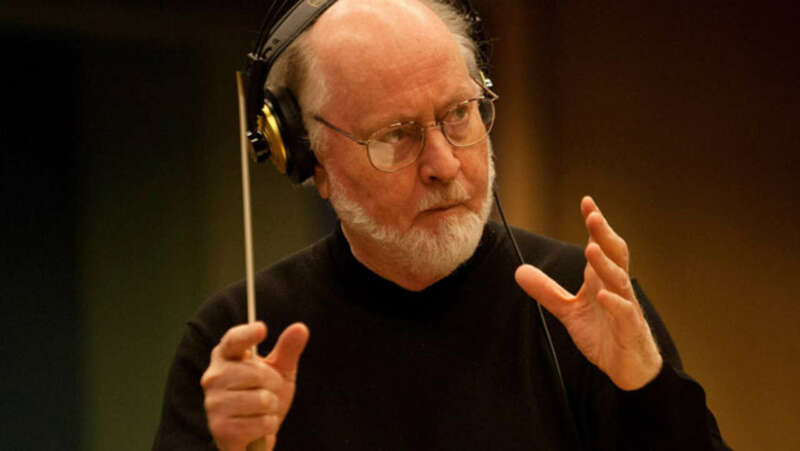 John Williams was asked to return – once again – to the galaxy far away and signed to write the score for the seventh episode of the saga, The Force Awakens. The film directed by J.J. Abrams is very much based on nostalgia, going back to the escapist fun realm of the original three films, but Williams seemed more interested to expand and further develop his own rich musical tapestry. A new set of main characters are introduced, all accompanied by brand-new musical themes, but the film also brings back some of the legacy characters from the original trilogy such as Han Solo, Princess Leia and Luke Skywalker, giving Williams the chance to revisit again some of his now almost 40-years old material. This is probably one of the most exciting aspects of seeing him returning to the series—the composer isn’t afraid at all to see how many possibilites there are in exploring further and deeper into the lexicon he created for these films. As he said in 2015, “There are several references to the older scores, which we felt were obligatory. […] But we also felt that we should have new material that was an extension of the collection or glossary, if you like, of themes from the other six pictures. […] And my task and my challenge was to make it feel friendly and related, interrelated, to the other scores, so that it feels comfortably Star-Wars-ian, if you can use that word”. The way Williams approached The Force Awakens was really like being a co-author of the film, acting as a master dramaturgist—the lightsaber duel between the heroine Rey and the villain Kylo Ren is scored with a deft contrapuntal interplay between the new themes for the two characters together with the Force theme; during the final run into the trench to destroy the Starkiller base, we hear a rollicking scherzo in which fragments of the main theme are interspersed in a sort of fugato-like form; the reappearance of Princess Leia is accompanied by a reprise of her theme, but in a more wistful and ruminative harmonic setting, much like we see the character acting onscreen; the rag-tag assembly of heroes (a.k.a. the Resistance) is depicted by a Shostakovich-styled minor mode march, with a fugue-like section that suggests gathering of forces; when Luke Skywalker is finally revealed in the last scene, Williams suggests a dark atmosphere by using the familiar chord progression (G-minor/E-flat-minor) of Darth Vader’s theme; the coda of the end credits presents a counterpoint of Rey’s theme and the Force theme, revealing the connection both narrative and musical between the two. As these just few examples denote, the composer went deep into the leitmotivic development and its harmonic implications. Music theorist Frank Lehman noted, “In some ways he’s still kind of an old-fashioned composer and uses some of the musical and stylistic conventions of the 19th century to evoke these feelings of wonderment and impossible, the impossibly impressive, both in very bombastic ways — full orchestra blasting very recognizable themes — but also some fairly subtle ways, using a theme that might easily slip your attention unless you’re truly concentrating on the music while watching a movie”. So it was even more exciting to see what Williams had in store for the sequel, The Last Jedi. The result is another rich chapter in the musical polyptych. And, as written at the beginning of the article, seeing the film with just music accompanying the story shows all the complexities and intricacies of Williams’ writing. Director Rian Johnson opted for an approach less dependant on nostalgia, but instead turned upside-down some of the basic elements of the Star Wars lore (much to the chagrin of a large part of fandom). As it happened in the original trilogy, the middle chapter goes into the darker regions of the mythology, putting the main characters at trial and delving into the themes of temptation, redemption and acceptance of fate. The film is also ripe with the usual comic book-styled adventures and epic battles, and there is even an over-abundance of comic relief in several spots. 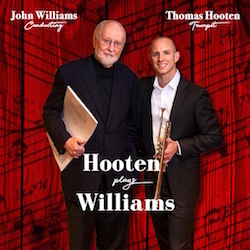 John Williams tried to find the operatic voice of the picture, expanding, pushing the musical collection to new heights. Seen as a whole, the score of The Last Jedi is probably the most leitmotiv-driven of the series, and one of the most dense in terms of construction and shape. Despite presenting a smaller number of new thematic ideas, the score is brimful of thematic development to the point that it goes almost beyond the film’s basic needs, as if the composer is telling his own story through leitmotifs: “Williams’s latest score is one the most compelling in his forty-year “Star Wars” career: Rian Johnson’s film complicates and enriches the familiar template, and Williams responds with intricate, ambiguous variations on his canon of themes”, wrote music critic Alex Ross on The New Yorker. The score presents a composer in full command of his own musical universe. The film’s narrative picks up right after the previous episode ended in pure cliffhanger fashion, so the music follows accordingly reprising the style and the language of the score of The Force Awakens—a rich symphonic, leitmotiv-centric work that accompanies the film almost without any interruption. After seven films, Williams has an arsenal of themes and leitmotifs at his disposal, so that’s probably the reason of the economy of new thematic material. It is however ingeniously manipulated over the course of the score, sometimes even sprinkled to some of its basic elements. Basically all of the themes introduced in The Force Awakens return, and Williams puts them under new permutations and development, sometimes “promoting” episodic figures to leitmotiv status, as noted by Frank Lehman. And of course quite a number of “legacy” themes from the original trilogy are coming back as well, creating the true bridge with the older films. The composer is aware that a film constructed in a very episodic fashion (there are at least three distinct narrative lines) needs a musical architecture that unifies everything as a whole. In this sense, Williams shows an impeccable sense of dramaturgy, creating tension and releasing it always at the proper occasion, without losing any of the propulsive energy needed to address and balance a story with many quick shifts in tone. In this sense, the opening battle following the main title is particularly revealing—the long sequence is scored with Williams’ characteristic battle music, a barrage of rapid-fire fanfares, bustling string rhythmic figures, explosions of brass and percussion, but always addressing what is happening on-screen and enhancing the drama at work. 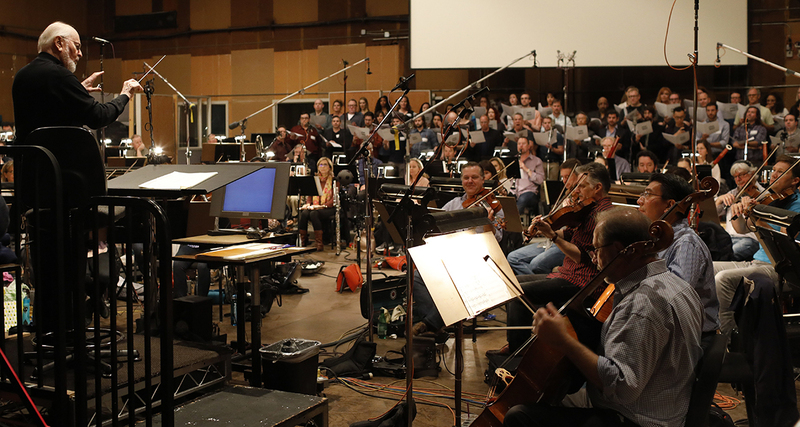 Poe Dameron’s bravado is accompanied by a reprise of his expansive upward theme, and the Resistance March bursts heroically into action when the fleet comes into the fray. What could appear as mere “action” accompaniment is actually orchestral film scoring at its finest, where Williams hits many sync points without sounding cartoon-y (despite episodes of pure mickey-mousing, as evidenced when watching the score-only version), or just being relentless with the “squared-meters-and-unison-horns” approach that is in vogue in most action films today. Later in the film, when another space battle occurs, Williams again addresses the surface action with lively scoring, but also does the heavy lifting in emotional terms as Kylo Ren and Leia communicate via the Force, underlining the moment with a poignant, but harmonically unstable version of Leia’s theme. Kylo Ren’s theme is particularly interesting in its treatment throughout the picture. The character has actually three separate thematic figures associated with him: a sinuous line for celli and basses that goes up and then falls down, in a kind of diminished scale; a repeated note that also falls down inexorably, which the composer uses to describe Ren’s hesitancy; and a powerful five-note motto for unison horns based on a tritone, a sort of musical calling card for the evil presence of the character. All three figures are used by Williams at key moments to depict Kylo Ren’s uncertain fate and motivations, a character still torn apart between light and darkness. This is particularly clear in one of the early sequences of the film, when Ren is called in audition to evil mastermind Leader Snoke (who is again accompanied by the basso profondo male choir introduced in the previous episode, a sort of immobile version of the Emperor’s theme from the earlier films). The setting of the scene is visually operatic (as it’s even more evident in the later moments, when Rey is brought in front of Snoke) and the music seems to suggest an air of doomed antiquity. Later in the film, Kylo Ren’s material undergoes more interesting permutations, mostly during the “thought connection” moments, nourishing the tension between Kylo and Rey. It finally culminates in the climactic lightsaber duel between him and a Force-projected version of Luke Skywalker, where the five-note motto is even accompanied by a large choir as to summon a greater, but ultimately useless power. Luke Skywalker is a very different character here than who we saw in the original films. He’s now a bitter Jedi that went to exile on a remote island to leave behind all he fought for, to ponder his own failures as a teacher. Accordingly, Williams treats the character almost at the opposite spectrum than the heroic, idealistic version we used to know. This new theme is not derived or related in any form to neither Luke’s theme from the original trilogy, nor the Force Theme. It’s a minor-mode melody set in triple time that goes always downwards, repeated several times with a static harmony. As music theorist Mark Richards pointed out in his analysis, “These qualities all suggest the traditional baroque dance known as the sarabande, which projects a serious and stately quality that corresponds with Luke’s status as a living legend. […] The entire melody is based on a single motive, suggesting a kind of obsessive state that one is unable or unwilling to break out of. The harmony follows this idea as well as there is never any motion away from the bass line’s tonic pedal, a device that lends the theme a feeling of inertia, which mirrors Luke’s desire to be disengaged from the fighting and lead a solitary life on the island”. It’s a simple, but very effective musical construction, that Williams embellishes with a stately march-like figure in a few spots (like the sequence when Luke goes across the island to gather food). However, the Force Theme is used in association with Luke in several moments, especially in the first act of the film, but in a mournful and almost disillusioned setting. The theme returns in its most traditional and hopeful mode only in the final act, when Luke fulfills his journey and literally sets off into the sunset. The Force Theme is featured heavily throughout the film (perhaps a tad too much), but it’s noteworthy to realize how many facets and moods Williams is still able to get out of it even at this point of the series. The scenes involving Luke and Rey on the island are some of the most leitmotiv-driven in the film, like the sequence in the cave where Luke tells Rey the story of his failure in training young Ben Solo/Kylo Ren. Williams accompanies Luke’s dialogue with quotes of the Force Theme, Rey’s Theme, some of Kylo’s thematic material, but also subtly reprising the “Luke and Leia” theme and the love theme for Han Solo and Princess Leia. Sometimes it’s just a suggestion of a few notes, but it’s enough to evoke powerful suggestions in the audience. Again, it’s the music (and specifically, the leitmotiv technique) that carries and elevates the drama. In this sense, the scene of the reunion of Luke and Leia is even more accomplished, with a moving reprise of the “Luke and Leia” theme in its full form, followed by another mournful quote of the Han and Leia Love Theme. It’s a wistful moment, probably one of the best scenes in the entire film, thanks in large part to Williams’ delicate scoring. The cue that follows, accompanying Luke’s “last stand” with Kylo Ren, isn’t thematically linked to anything, but it’s a new musical figure based on a kind of idée fixe, a four-note pattern first taken by the violas and then relentlessly growing in intensity through the entire orchestra, until it reaches a powerful climax. It’s a particularly effective moment, and probably one of the most operatic of the entire score. Alex Ross pointed out a curious resemblance to the theme for Agamennon in Richard Strauss’ Elektra: “Agamemnon haunts that opera from beyond the grave; likewise, Luke is not actually present on Crait, instead appearing by long-distance Force projection. All that darksome, epic music is swirling in Kylo Ren’s conflicted mind”. Again, we don’t know if Williams is deliberately referencing a source or if he’s touching something deeper in the collective consciousness and therefore arriving at the same musical conclusions Strauss did—the end result is effective and fascinating. The other principal new theme of The Last Jedi is the one for the character named Rose. It’s a very optimistic and good-natured theme, based on the bright Lydian mode, indeed not too distant from similarly structured themes of the saga (like those for Yoda and young Anakin). Williams always uses it in association with Rose and her adventure subplot with Finn, underlining her youthful spirit and strong will, both in reflective and heroic statements. The theme always brings an uplifting tone whenever it appears, and its most effective usage is probably during the chase sequence with the Fathiers on planet Canto Bight (one of the score’s most impressive musical episodes, dominated by galloping 12/8 and 9/8 rhythms, with moments of deliberate mickey-mousing and bursts of symphonic exuberance). It’s a testament of the composer’s inner youthful spirit, who is still able to write music of such jovial character. Another new musical idea is the “desperation motif”, a minor-mode, doom-laden figure used in some key sequences involving the Resistance and its leaders, including the sacrifice of Admiral Holdo, capped off by a pounding fanfare just before the cataclismic explosion of the Supremacy spaceship. These are the type of gestures that give the score its bold character, much like Williams did in Revenge of the Sith. 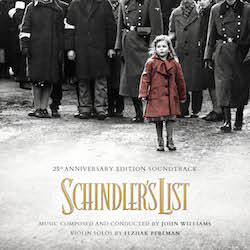 Speaking of the Resistance, there are numerous permutations of this theme throughout the score, from bombastic to mischievous, again showing the flexibility of Williams’ thematic constructions. The film also gives Williams the chance to write brutal, percussive fight music (the duel between Finn and Captain Phasma), balletic action pieces (the whole battle on planet Crait), and even madcap Ellington-styled jazz music (the casino scene on Canto Bight), showing the wide range of versatilty he’s capable of. But it’s in some of the film’s central sequences, like the confrontation between Kylo, Rey and Snoke, that we can hear Williams as the master dramatist he is, taking the story’s pivotal twists and enhancing them with theatrical flair. John Williams showed again how sensitive he is to the specific needs of this cinematic universe he contributed to characterize since 1977. Despite working within a very specific stylistic language, he’s able to bring something new to the table at every entry, while also continuing to shape and mold the established musical creations from the previous chapters, as this score clearly shows. So, returning to the composer’s words that opened this essay, it might be enough for John Williams to be happy that his music “worked” in the film, but what he created is something that elevates the art of film-music to a higher level, and brings it into the pantheon of great music itself, without any bounds of genre or nature. It’ll be very interesting and exciting to see how the composer will finish his opus in the ninth episode coming next year. 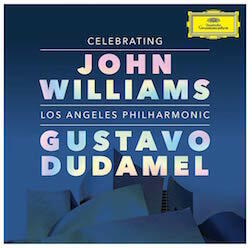 At the risk of sounding corny, it will be great to finally listen to “Williams’ Ninth”. Special thanks to Emilio Audissino for the help and proof-reading. 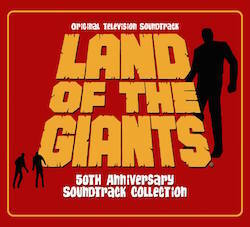 And thanks to Frank Lehman, Mark Richards and Alex Ross, for their inspiring observations about the score. 1 The “isolated score” is the kind of bonus that is not usually available on home video releases, which are usually packed by studios just with EPK-styled interviews and behind-the-scenes footage and not much else. Some specialty labels (like the LA-based Twilight Time) offers this kind of feature quite regularly on their own DVD and Blu-ray releases, albeit mostly on archival titles.